Geo- and time-tagged blogging platform BlogBeats, run by Bangalore-based TechBoulder Technology Solutions Pvt. Ltd, has raised an undisclosed amount in its pre-Series A funding round from a Michigan-based investor. “At a time when startup funding is slightly on a dip, we are proud to successfully complete this pre-Series A round, which is also a strong endorsement of the potential of BlogBeats to transform how content will be consumed in the future,” said Priyank Jain, founder, BlogBeats, in a statement. The startup was founded in 2014 by Priyank Jain and Lokesh Jain. 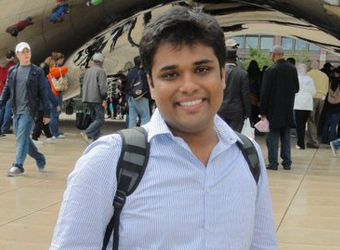 While Lokesh Jain is a graduate from ISB and BITS Pilani, Priyank Jain did his masters in technology management from Valparaiso University, Indiana. BlogBeats allows users to exchange information about places and interests they encounter in their daily lives and travels. It aims to be a content creation and discovery platform which will encourage the creation of blogs and other forms of content across more than 200 categories, all tagged with a geo-location and time-period to enable enhanced search and discovery and better interactivity. It also helps businesses with location targeting which helps them reach the right audience. The company is also planning to roll out tech support for multiple Indian languages and also a business-to-business (B2B) solution which will help organisations manage their digital content.